Welcome to our September Paper Pros challenge. This month our challenge is hosted by Caz Counsell who has given us the theme "Seeing Spots". This challenge theme was the ideal opportunity to pull out my new Altenew Feeling Dotty Stencil to create my background. I used the stencil to sponge on the red dots and then cleaned my stencil, moved the stencil to cover the red dots and then sponged on green ink. Once the background was inked I used the largest rectangle from the Crosshatch Rectangles to die cut the background panel. I then layered this to a red rectangle panel. 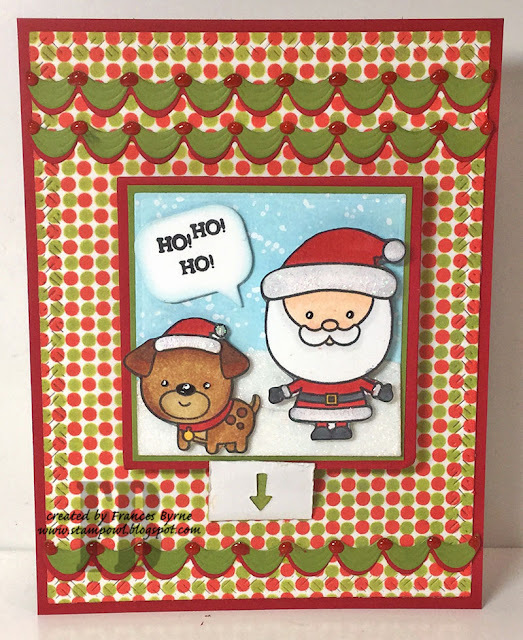 I used Karen Burniston's Frame Pull Pop-up die set to create the pop-up portion of this card. 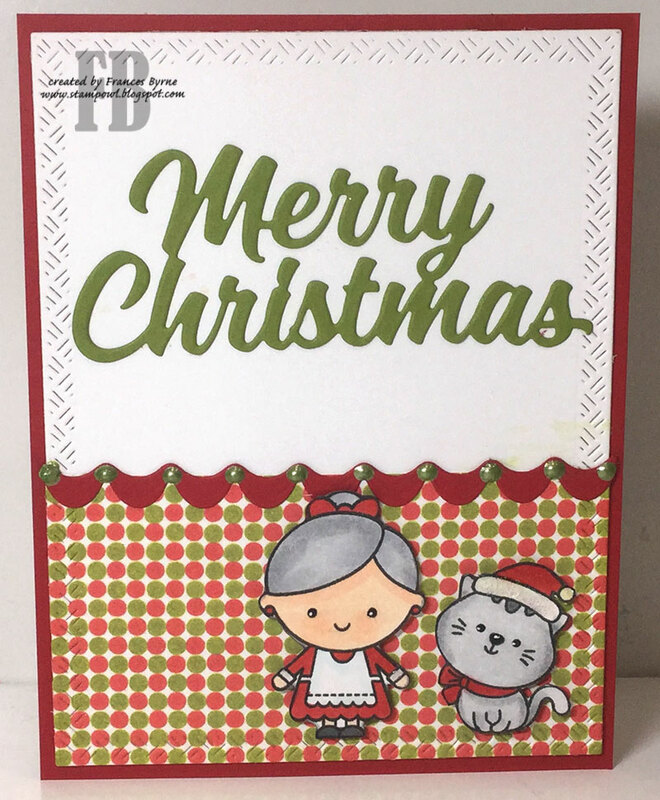 To decorate my card I used Simon Says Stamp Christmas Squad Clear Stamp set. For the sky portion of the card, I sponged on Tumbled Glass Distress Oxide ink and then splatting over some Picket Fence Distress Paint. 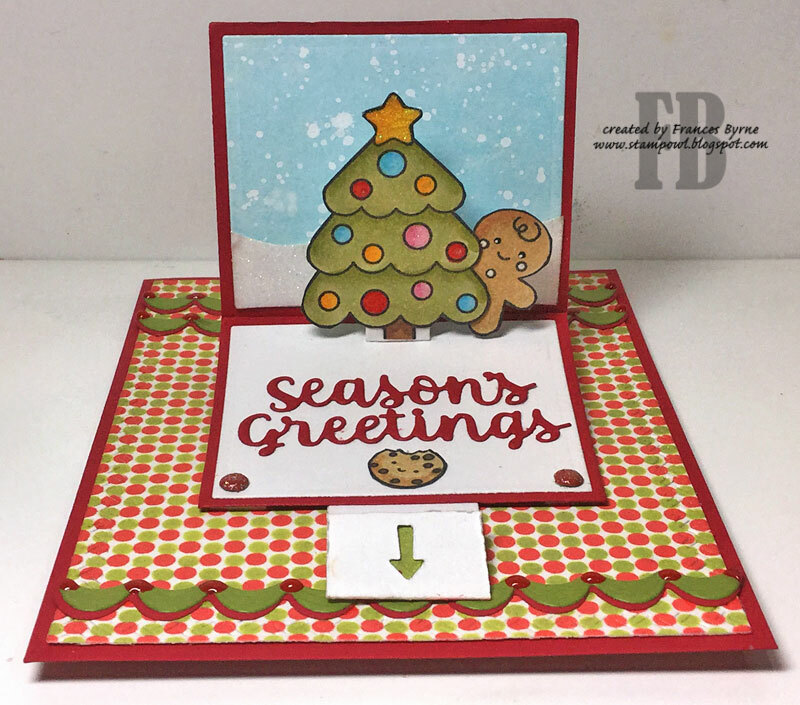 I added the Christmas Tree and Gingerbread man to the pop up part of the card. I also added a sentiment from Karen's Word Set 3 - Holiday die set. I die cut the scallop trim from the Cake Trims die set in red and green, layering the green trim over the red and adding to the card. I added red Nuvo Drops to each scallop join of the trim. 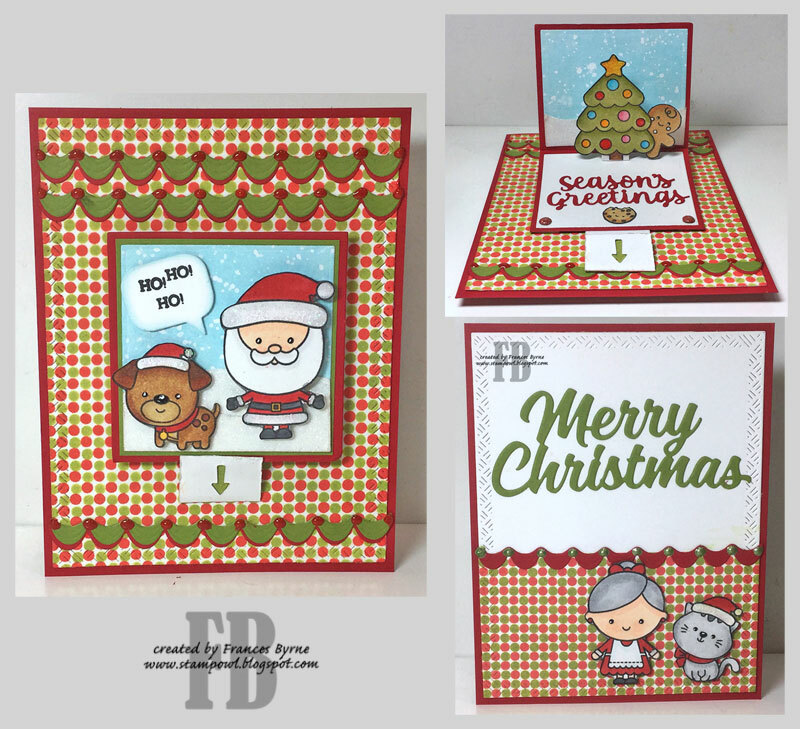 The Frame Pull can be either layered to a folding card, or a postcard style card. This time around I decided to keep my card flat. I did decide to decorate the back panel, adding more of the dotty background to the lower panel of the card. I added a couple more characters from the stamp set. I added Karen's new "Merry Christmas" sentiment die on the top portion of the card. This is so dang cute. I just love it. Thanks. Super cute! I got these stamps last year and am really looking forward to using them on cards this year. I love them with this die set!